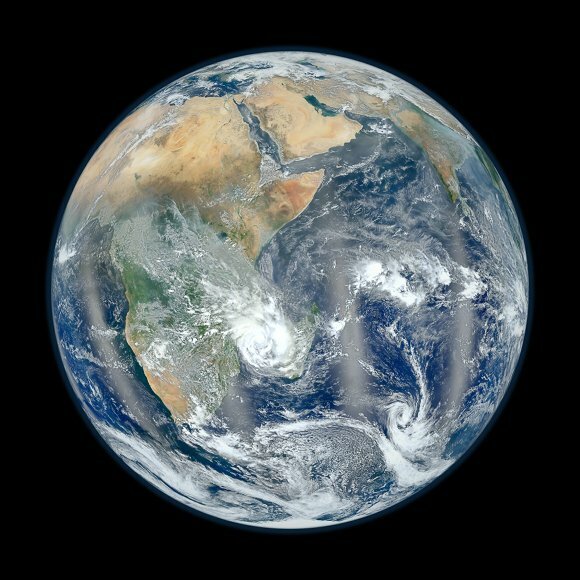 After popular demand NASA's Suomi NPP satellite has beamed down another "Blue Marble" vision of the Earth in high definition. The agency said that it decided to put out a second image of our planet from the Visible Infrared Imaging Radiometer Suite (VIIRS) aboard Suomi because the first - issued last month - was "wildly popular". And for those bemoaning the fact that the first pic showed the Americas (not that peculiar when you consider it's a NASA satellite and therefore, American), this one reveals Africa and the Middle East, with a wee bit of Asia, in all their glory. The image is again a composite, this time of six separate orbits on January 23. The picture was then compiled by NASA Goddard scientist Norman Kuring with a perspective of 7,918 miles above the Earth, although the Suomi National Polar-orbiting Partnership satellite is actually at an altitude of 512 miles. The four hazy vertical lines across the planet are the reflection of the sun off the oceans. 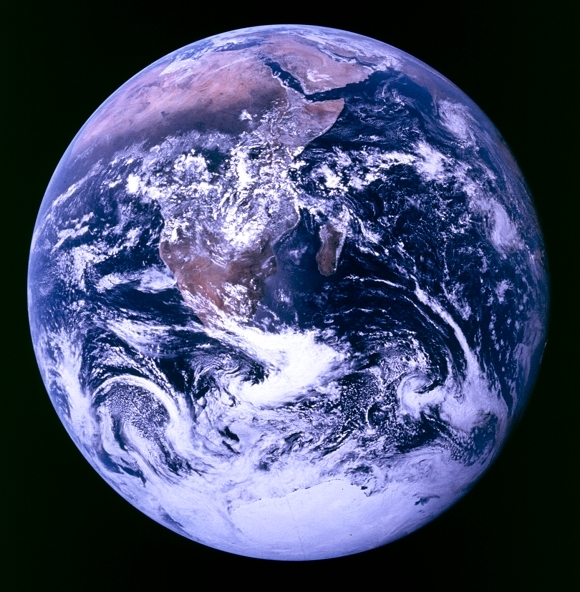 This second "Blue Marble" photo, taken by VIIRS, recreates the first ever "Blue Marble" shot, which was taken by the Apollo 17 astronauts as they flew through space on their journey to the Moon. That picture was taken at a distance of around 28,000 miles.